San Juan is steeped in history, the most noticeable of which are the two forts at separate ends of San Juan's shore, El Morro and Castillo San Cristóbal, which were used as active military forts as recently as World War II. San Juan also boasts old cathedrals and churches, colorful architecture, and wide beaches framed by the sparkly teal Caribbean sea. Hot Tips: The Cathedral of San Juan Bautista showcases historic San Juan architecture. 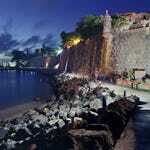 Hot Tips: Take the trolley to the forts if you're not up for the walking distance to them from Old San Juan. When staying in San Juan, you have different options for deciding how you'd like your stay to be. Both beach and city center accommodations are available. The old city area of San Juan is extremely walkable and is a great location for sightseetng and easily getting around the city. In addition, locations close to the city's two majestic forts will boast some spectacular views of history and sea. 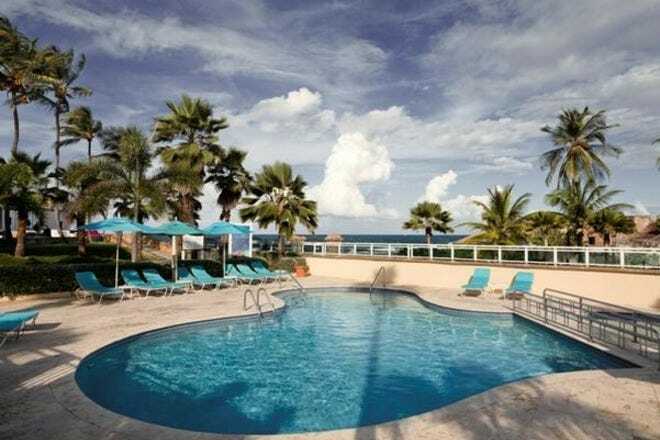 The beach neighborhoods are also a great place to find some boutique hotels. Hot Tips: Hotels in the busy city center of San Juan can be noisy. If you need peace and quiet to sleep, choose accommodation outside of the city. Hot Tips: Hotels right on the harbor offer great views, but are also prone to a lot of noise since that is where the cruises dock at. San Juan has everything from cafeteria-style cafes to 5-star restaurants. Old San Juan has a great mix of restaurants - be sure to try some traditional Puerto Rico cuisine. The neighborhood of Miramar isn't as clustered with restaurants, but does have some excellent dining choices making it worth checking out. Head to the neighborhood of Ocean Park for some beachfront, laidback eateries. Hot Tips: Restaurants right by the harbor can be overpriced; head farther into the city center. Hot Tips: A mallorca, a delectable sandwich covered in powdered sugar. San Juan may at times feel like a bustling metropolis, but it's still a Caribbean island, meaning when the sun goes down you have many different options for nightlife. The beach neighborhoods have laidback bars great for grabbing a beer or margarita while listening to the waves. Old San Juan has nightclubs and cocktail bars to while the night away. Hot Tips: Try a mango mojito to start off your night in San Juan. San Juan has many different options for shopping. In Old San Juan, you can find many souvenir shops. Head to the beach towns for beachwear and other tropical souvenirs. In the neighborhood of Condado, you'll find luxury shopping and high fashion. While walking around San Juan, keep an eye out for outlet stores of popular brands such as Coach. Hot Tips: Plaza Las Americas in San Juan is the Caribbean's largest shopping mall and features staples such as Abercrombie and Fitch and Banana Republic.